It always amazes me how creative Doctor Who fans can be. Check out this neat cork board that Redditor sound2503 made for their office. I like it. 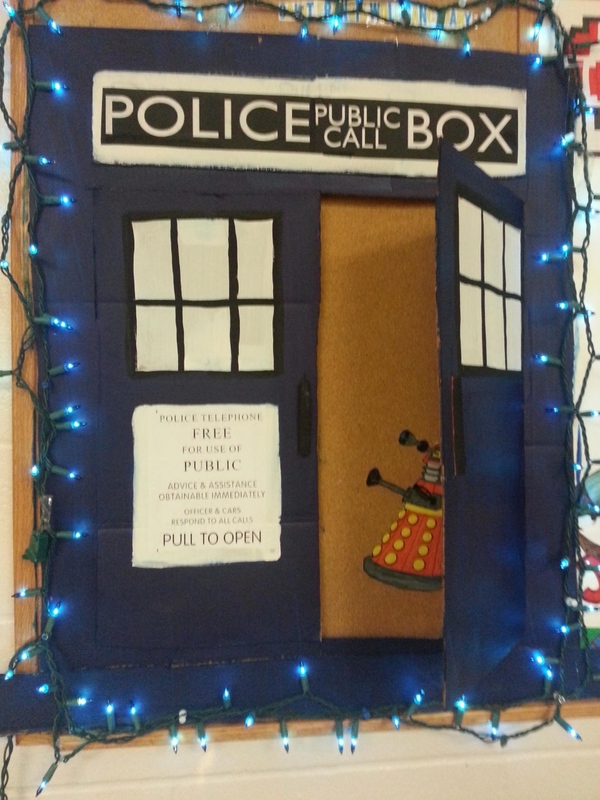 When not in use, it serves as a geeky decoration, and when you need it, just open the TARDIS doors and use it. I even like the blue lights all around it like it’s a TARDIS Christmas. The Dalek inside just adds a bit of cute and lets you know that the Doctor must be in serious trouble if a Dalek got inside. I would definitely put this up in my office. Maybe, I’d even add some pop-up book type elements. This project wouldn’t take a lot of time or effort to create and it’s super fun.